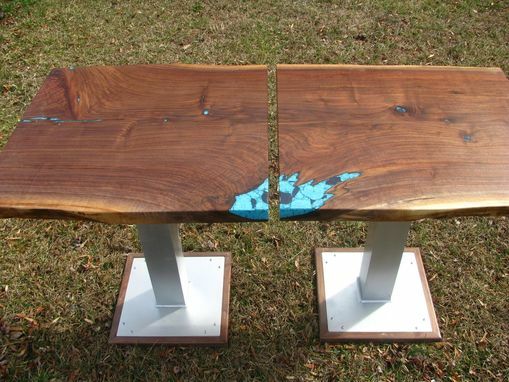 Jules of Jules Duffy Designs designed this one-of-a-kind pair of tables. 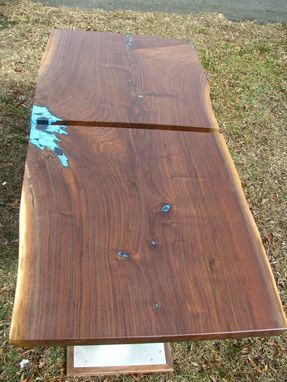 Our Woodgenius split a single walnut slab to form two individual tables which can be latched together as a single dining table. Very cool. 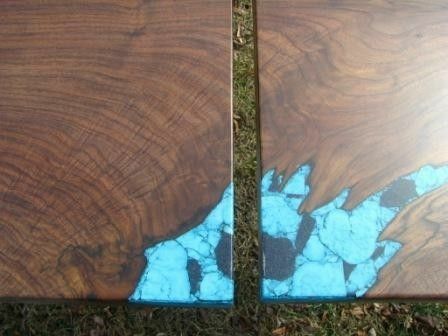 Turquoise/Lapis inlay, lots of character in the grain. 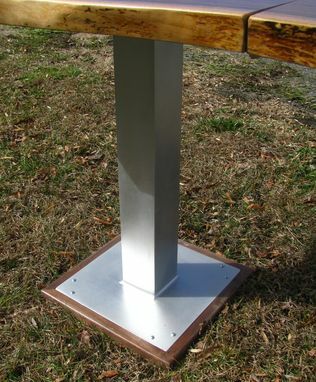 On brushed metal bases by Watson Metals. Truly a collaboration!